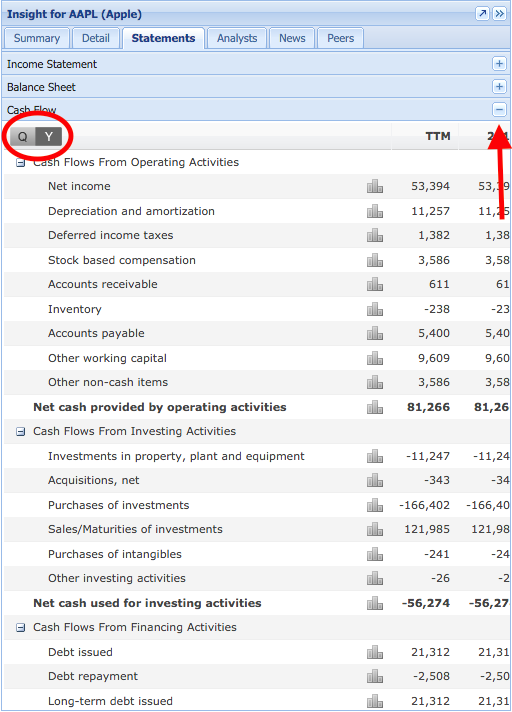 You can find data from financial statements in the Statements tab of the insight panel. Click either Income Statement, Balance Sheet, or Cash flow to open that section. Below is the Cash Flow section expanded. You can toggle between yearly and quarterly data by clicking the ‘Q’ or ‘Y’ in the top left. If you mouseover a metric name, a tooltip will appear with the definition.